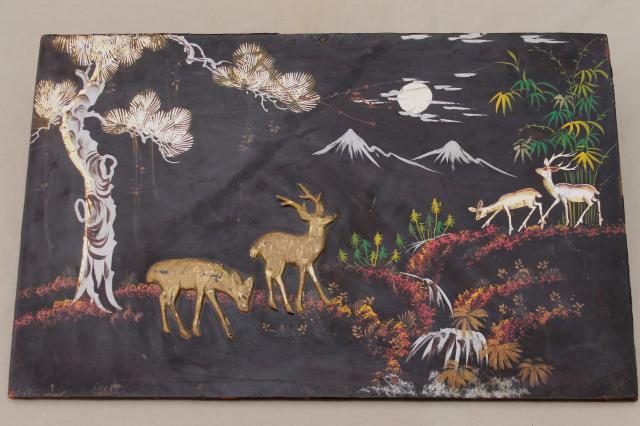 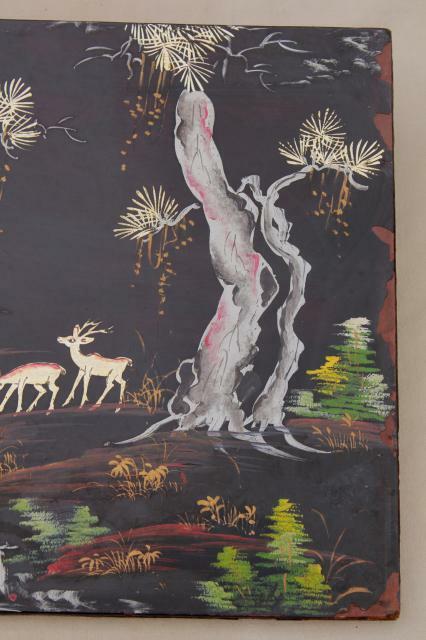 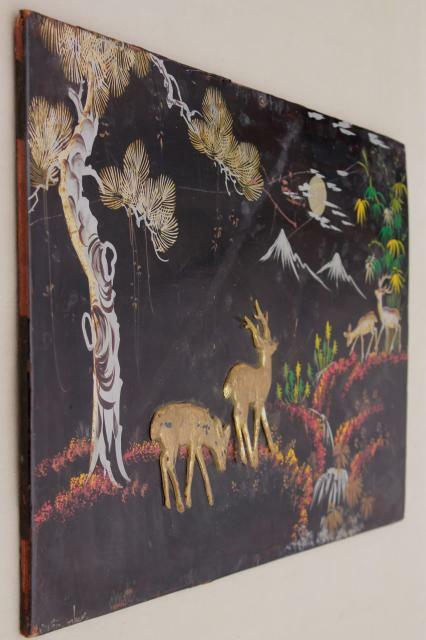 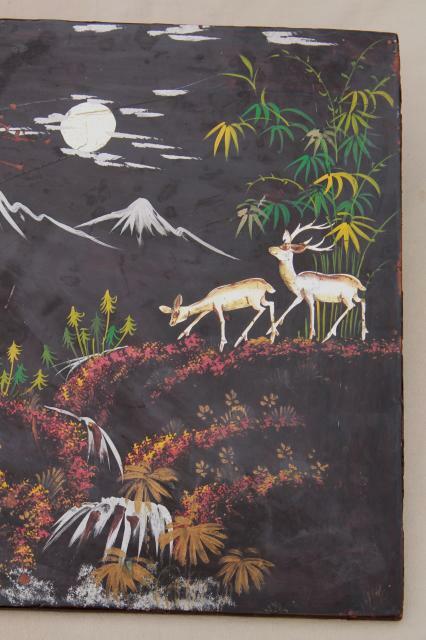 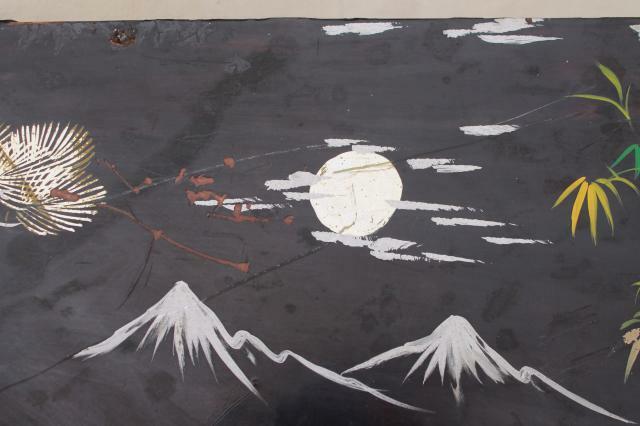 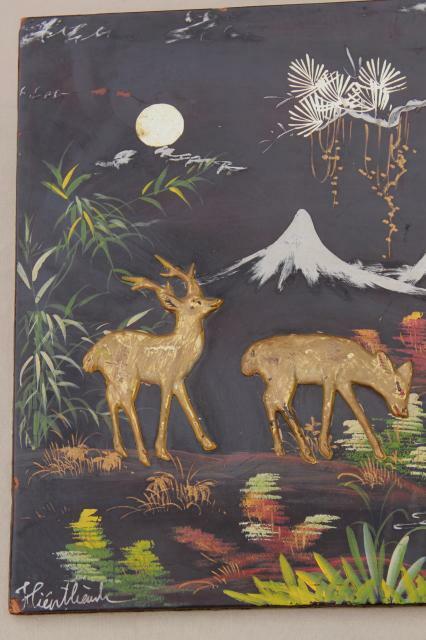 Pair of very beautiful but very shabby vintage wood board panels with black lacquer finish and exquisite painted design. 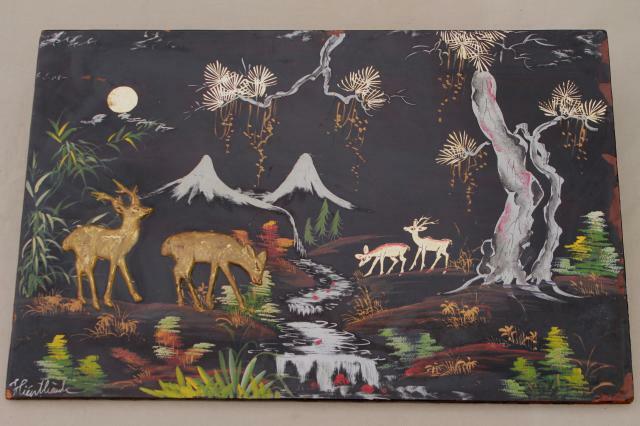 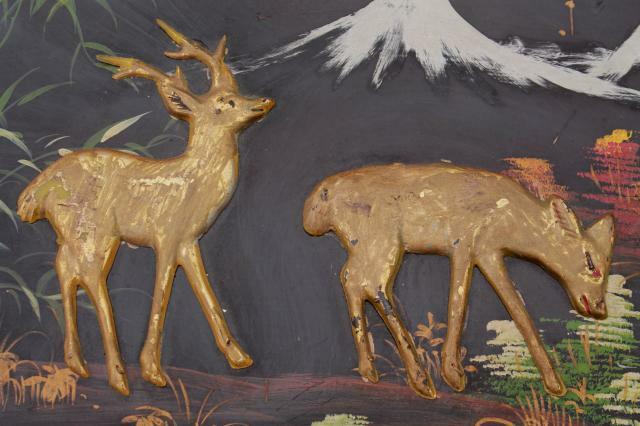 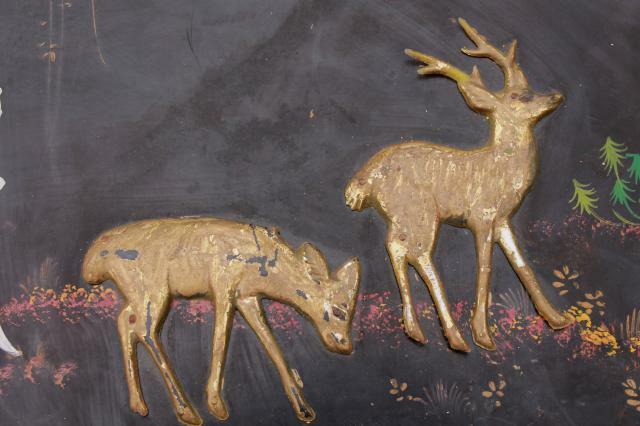 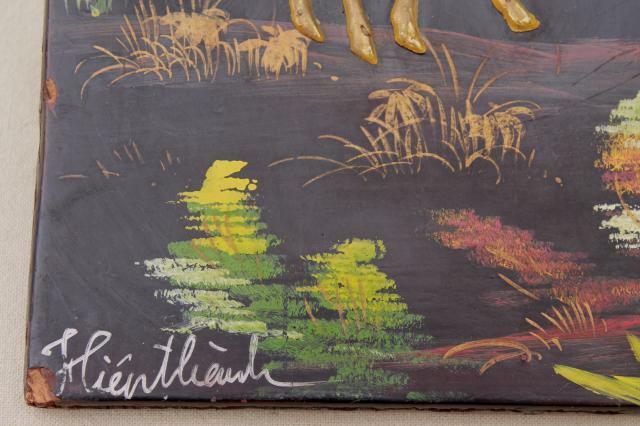 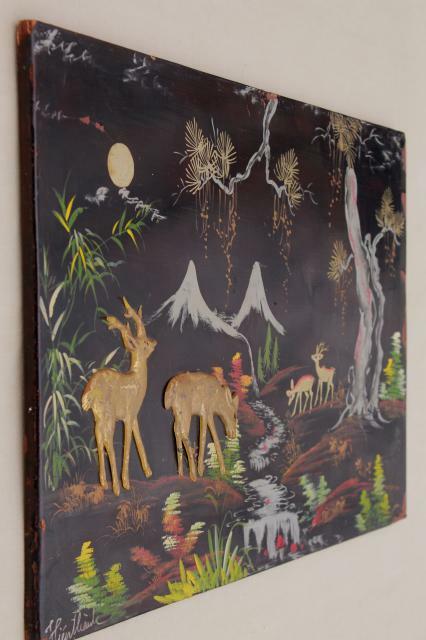 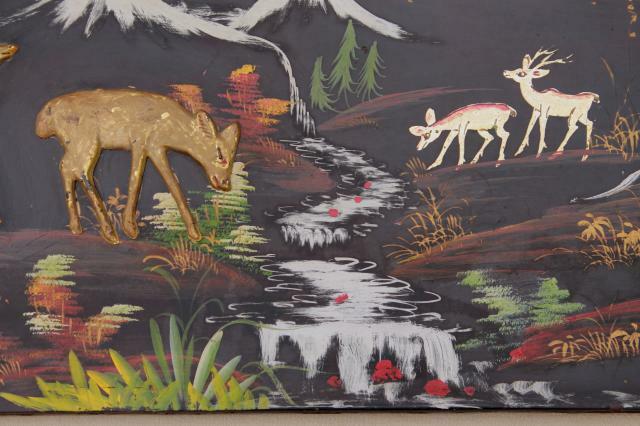 These are forest scenes right out of a fairy tale, with applied deer. 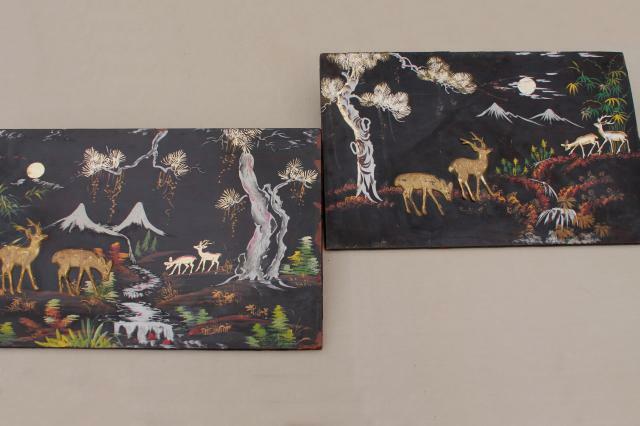 These are unframed, 24" x 15 1/2" overall. 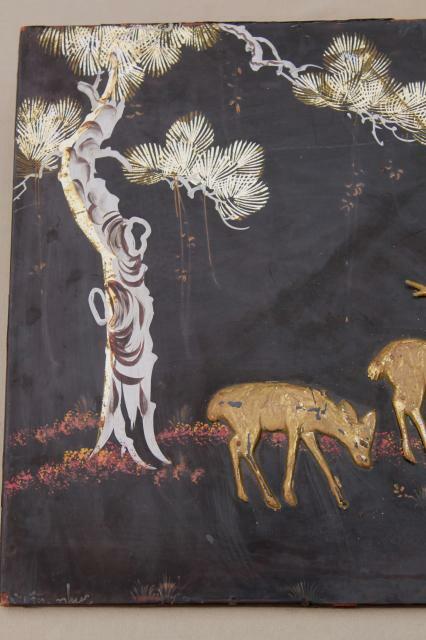 We believe these were probably furniture panels originally (cabinet doors?) 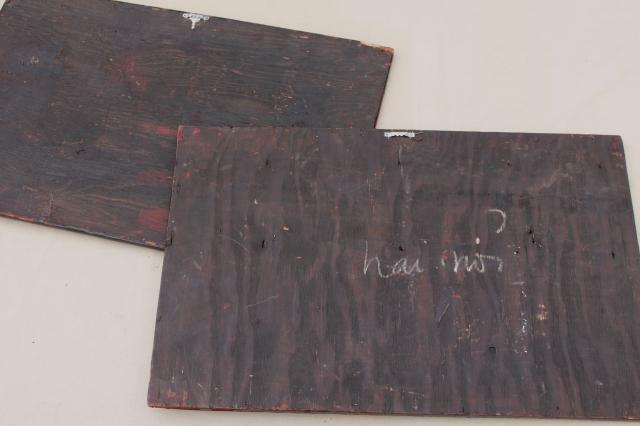 though they work perfectly as frameless art.